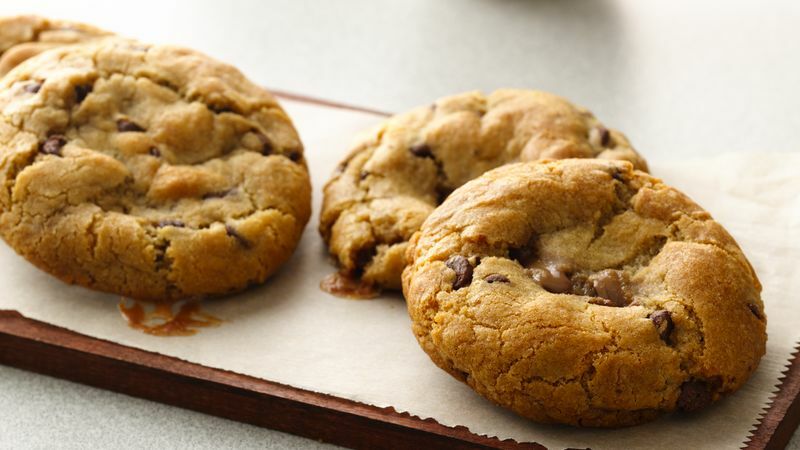 For each cookie, shape 2 tablespoons cookie dough around 1 caramel candy, covering completely. Place cookies with thickest part of dough down, 2 1/2 inches apart, on cooking parchment paper-lined cookie sheet. Bake 12 to 14 minutes or until golden brown. Cool 2 minutes; remove to cooling rack. Cool completely, about 15 minutes. To enjoy these cookies safely, be sure to cool them completely, as caramel candy gets very hot during baking.